Boyes, Farina & Matwiczyk, P.A., today announced Attorney Duane L. Pinnock has been named a “2016 Top Lawyer” in the South Florida Legal Guide’s (“SFLG”) 2016 edition. He will be honored, along with the others selected, on February 4, 2016 at a reception to be held at Sabadell Financial Center in Miami, FL. SFLG’s“Top Lawyers” are selected by peer nominations, which are then reviewed by the publication’s editorial department. Each lawyer’s accomplishments, standing with the Florida Bar and other credentials are taken into consideration during the selection process. 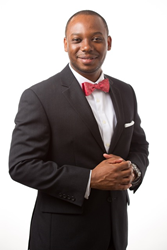 Mr. Pinnock earned his Juris Doctor from the University of Florida Levin College of Law and his Masters of Law (LLM) in Estate Planning from the University of Miami School of Law. He focuses his practice in Trusts and Estates Litigation and Administration, and Estate and Tax Planning. He is Florida Bar Board Certified in Wills, Trusts & Estates, a certification held by less than one-third of one percent of all Florida lawyers. Mr. Pinnock is presently the only African-American attorney in Florida who is Board Certified in Wills, Trusts & Estates by the Florida Bar. He is also the current Vice-Chair of the Wills, Trusts & Estates Board Certification Committee of the Florida Bar. For more than a decade he has represented beneficiaries, trustees, personal representatives and heirs. Mr. Pinnock is admitted to practice in Florida, the United States District Court for the Southern District of Florida, and the United States Tax Court. Boyes, Farina & Matwiczyk is a firm of eight attorneys, assisting clients in the development of estate plans, the administration of complex trusts and estates and the prosecution and defense of probate related litigation, including tax court controversies. For additional information on Boyes, Farina & Matwiczyk, P.A. please visit their website at BFMlaw.com. Contact Greg DuBose at 561-746-6077 or via email at greg(at)bellagroupinc.com.